First shop mallet! Cherry head, oak handle, walnut cross dowels. Amazing what comes from a couple hours , and some scraps around the shop. I would be sure to remember where my thumb was at all times using that there monster mallet. 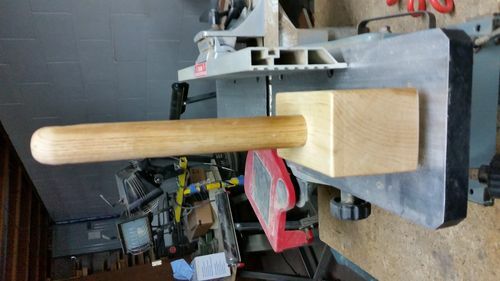 This mallet is a fine shop made tool. Nice work!